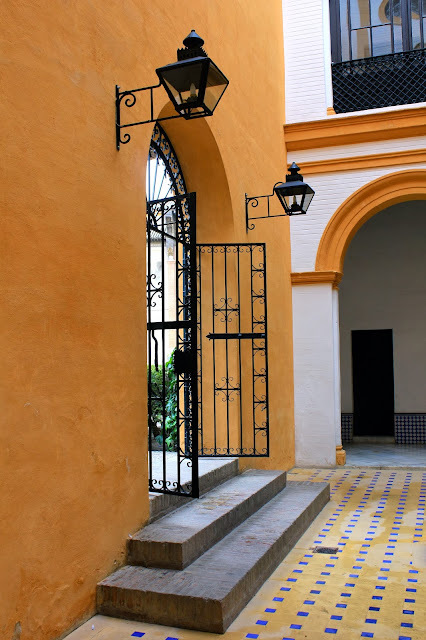 I arrived to Sevilla half a day before my friends did, so I spent my afternoon wandering around and redisovering some of my favorite spots in the city. My first stop was the Real Alcázar, Sevilla's stunning royal palace that was originally a Moorish fort. While this may have been my fourth time visiting the Real Alcázar, it felt just as magical as the first time. 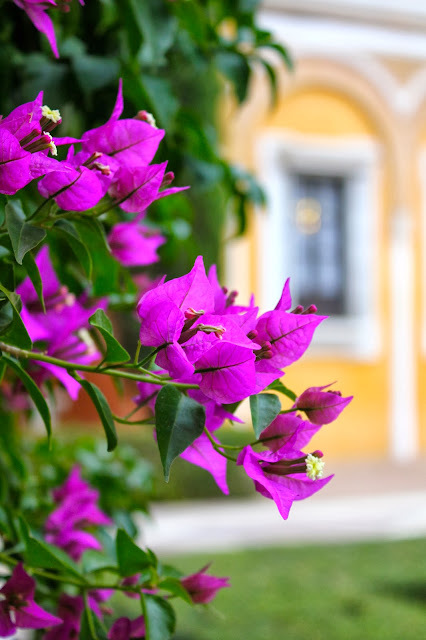 The palace itself boasts some of the most spectacular mudéjar architecture in southern Spain, while the lush gardens create a picturesque, exotic paradise. While its history is fascinating, I preferred to spend this time around getting lost in the colors, architecture and intricate details of the palace. Going to the Alcázar simply to enjoy its beauty rather than to check a box off my sight-seeing checklist gave it a whole new meaning to me. Instead of rushing through a hurried bucket list of sights to see, I actually took the time to appreciate and experience its breathtaking complexity. Everything about Sevilla is entirely captivating, and I'm already daydreaming about going back. So, who's coming with me? 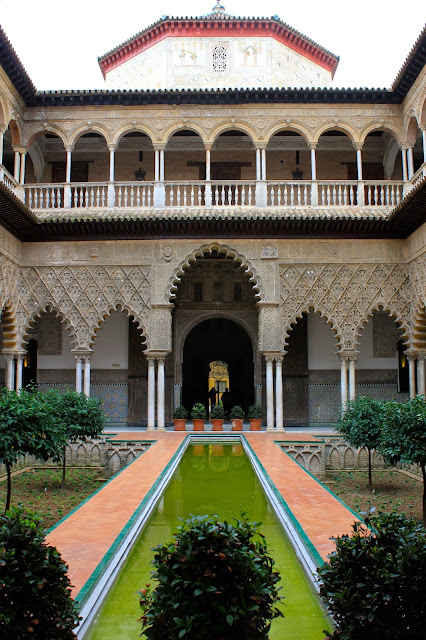 6 comments on "Alcázar de Sevilla"
as always, such beautiful pictures! Thank you so much!! That means a lot :) I absolutely love the Alhambra. I visited it 4 years ago when I studied abroad in Cádiz, and it desperately made me wish that I had studied abroad in Granada instead!